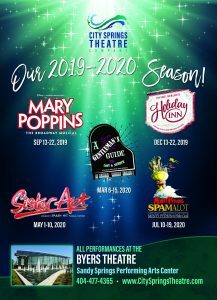 Reserve Your Seats Today for the 2019-20 Season! Renewals & NEW Season Subscriptions Available Now! 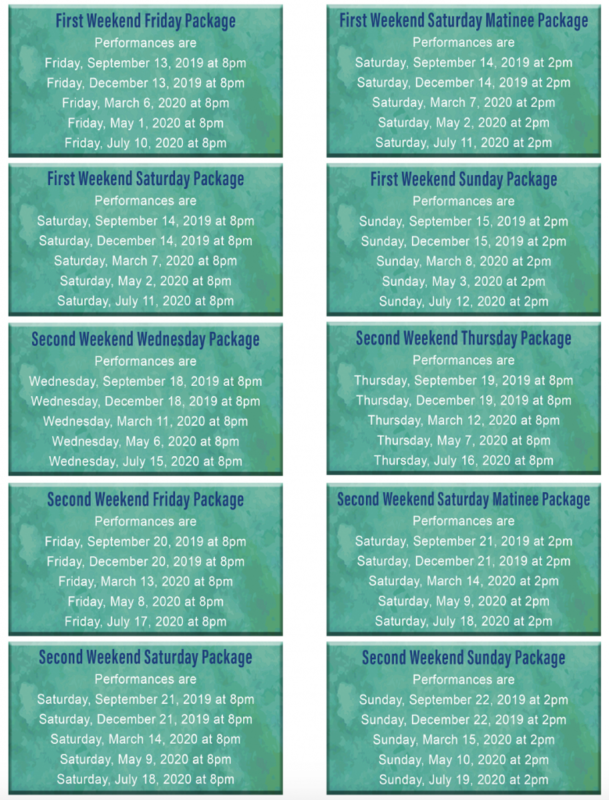 Subscriptions are the best way to see shows with City Springs Theatre Company! Why subscribe? Best Deal! Subscribers receive the best price by purchasing all five musicals at once. Free Date Exchange! Exchange tickets for a different date of the same musical if any conflicts arise. Exclusive Access! Subscribers are able to renew and secure their seats each season before the general public to ensure the best possible seating. Contact the City Springs Theatre Company patron services office for season subscriptions at 404-477-4365. Our patron services office is open Monday – Friday from 10:00am – 5:00pm. 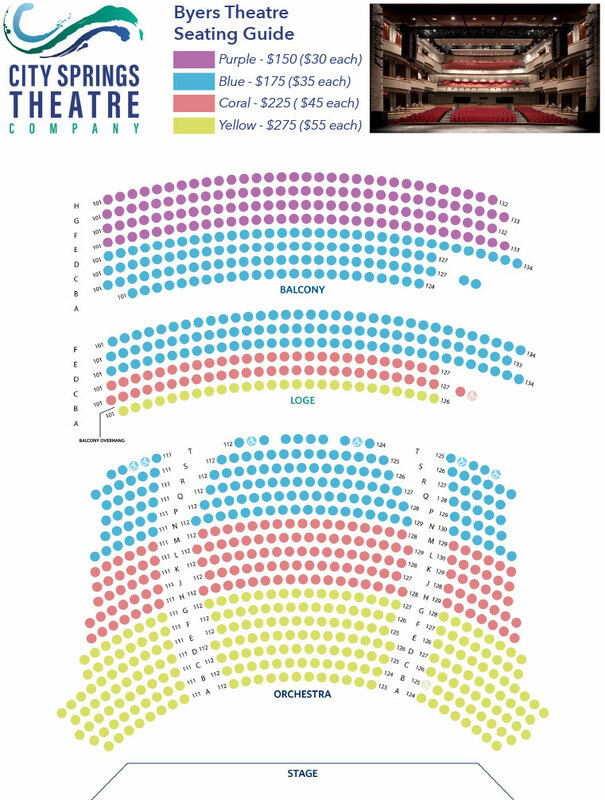 Seating chart and pricing below. *Click the seating chart for larger view. Pricing excludes ticketing fees. Thank you for subscribing to City Springs Theatre Company! City Springs Theatre Company is dedicated to entertaining, educating, and enriching our community while contributing to its cultural and economic development by creating world class theatre experiences at the Sandy Springs Performing Arts Center. ©2019 City Springs Theatre Company. All rights reserved. City Springs Theatre is a 501(c)(3) nonprofit organization. DISCOUNTS, SNEAK PEEKS, AND MORE! Sign me up for the City Springs Theatre email list.